Results of RRB CWE V 2016 prelims exams has been announced. Aspirants who had appeared for the exams can check the results by logging on to the official website. Around 5539 Aspirants had appeared for the exams that were conducted in the month of November and December for the recruitment to the posts of officer scale I.
Aspirants who have cleared the prelims exams successfully have to appear now for the mains followed by an interview. Aspirants will be hired for the respective posts. IBPS was set up in 1975 as a Personal Selection Services (PSS). It is an autonomous body which is created to render assistance to organisations in areas such as personnel like recruitment, selection, placement, designing, and developing suitable measurement tools/tests. 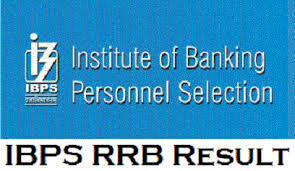 IBPS RRB and SO recruitment are two-phase processes, while IBPS PO and Clerk recruitment consists of three stages. The first phase is a common written examination, followed by an interview and the final placement.